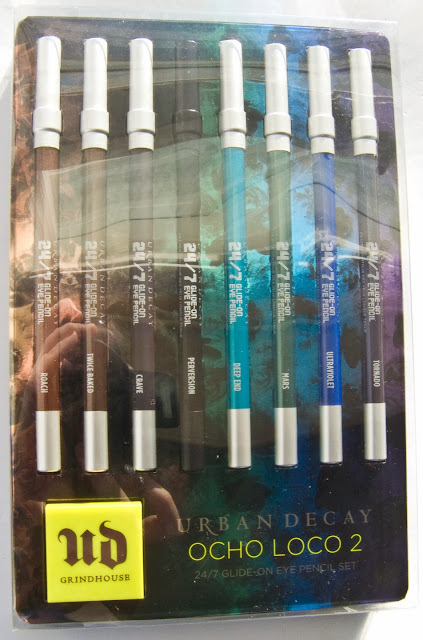 This set of 8 full-size Urban Decay 24/7 Glide-On Eye Pencil retails for $59US / $68CAN. 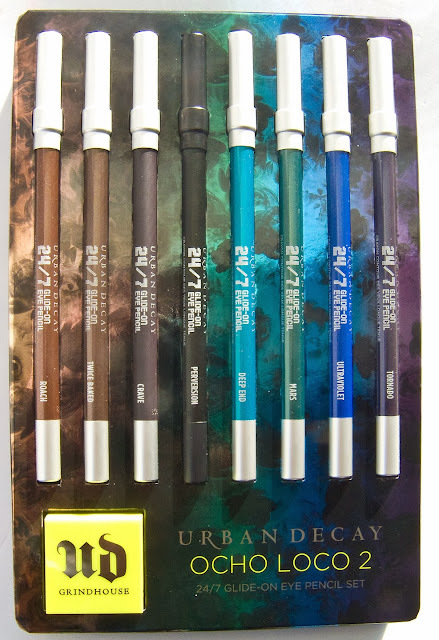 I haven't bought a liner set since the 15th Anniversary set a few years back so it was time. Grindhouse Double Barrel Sharpener, taken apart. Urban Decay 24/7 Glide-On Pencil again a soft gel based product. 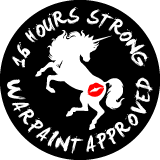 Most of this shade is opaque in one pas except Ultraviolet while buildable was patch on the first go and Tornado which is slightly sheer. Once set the performance was the same. Twice Baked rich neutral brown with gold shimmer. Crave is a blackened ash brown with a matte finish. Perversion is a deep black with a matte finish. Deep End is a bright peacock turquoise with a metallic/shimmer finish. Identical to the eyeshadow from UD. 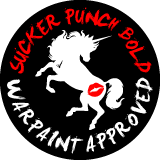 Mars is a bright forest green with a metallic/shimmer finish. Ultraviolet is bright indigo blue with a shimmer finish. Tornado is a dark eggplant with a pearl finish. Wear: all of these I get 16 hours of wear before slight fading. 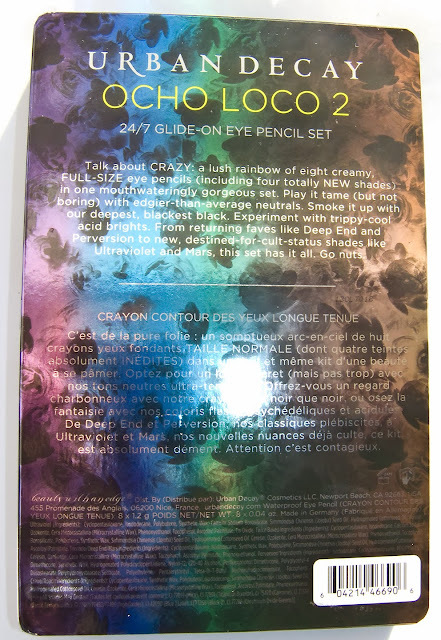 Packaging: The tray art is silver foil with a colour print overlay and laminated onto cardboard. The tray its self is carved black foam with the bottom layer soiled except the hole for the Grindhouse. The top layer of foam has the pencil and Grindhouse cutouts. Simple 24/7 Pencil that needs to be sharpened and the Grindhouse Double Barrel Sharpener come apart easily to be cleaned. 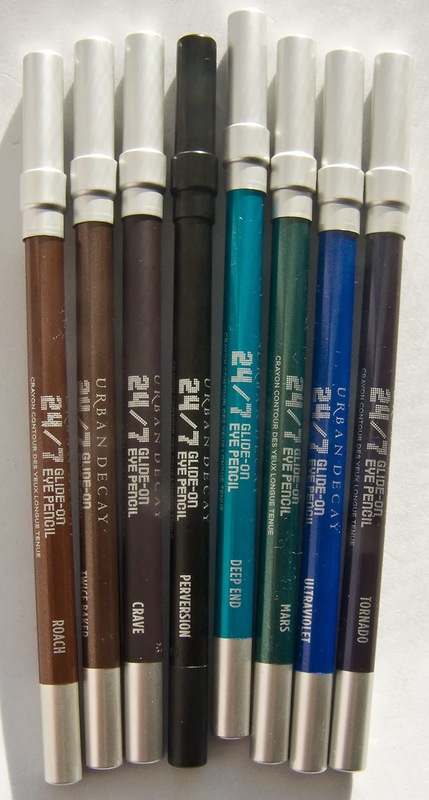 Compare: Deep End is a close dupe to the old F24/7 in Flipside. MARS is very close and just a touch lighter to NYX Slide-on Pencil in Tropical Green. Ultraviolet reminded me of the Milani LIQUID EYE twist-up a pencil in 08-Blue which a touch smoother to apply.